A company based in Naha, Okinawa Prefecture, is aiming to open a theme park in the prefecture around 2022 featuring exhibitions of famous cities around the world using miniature models. 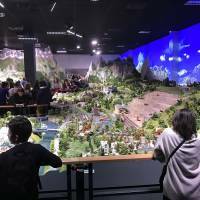 The attraction, to be called Little Ambassadors’ Small World Okinawa, will be constructed in the southern part of Okinawa Island jointly by real estate firm Ryubo Ltd. and Tokyo-based Small World Inc., which designs amusement parks and makes miniature model structures. Small World, meanwhile, plans to open a miniature theme park in Tokyo in 2020 using internet technology, the first of its kind in Japan. The entertainment facility in Okinawa will feature miniature models of cars, trains and airplanes moving about in tourist spots and cities both in and outside of Japan, according to Ryubo. Under the plan, the park will encompass an area of around 3,000 sq. meters and include shops and dining facilities. There are several candidate sites for the park, and the company will narrow the list by the end of this year. Ideas being floated around for the entertainment spot include re-creating Naha Airport as well as popular beach locations around Okinawa. Also under consideration are blending popular anime characters and themes with the exhibits and including a device that allows visitors to experience time travel on their smartphones. At the amusement park, traffic lights and cars will be controlled by computers. The facility will be operated by Ryubo group company Ryubo Shoji Ltd. The company is forecasting around 1 million people will visit the facility annually, mainly tourists and families. It also aims to attract students on school trips. 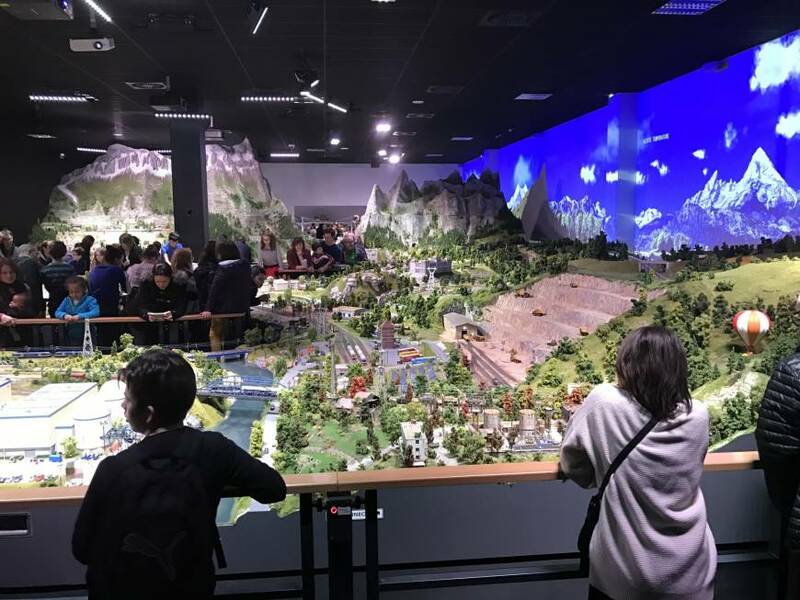 To build momentum for opening the theme park, Ryubo will hold an event at its department store in Naha, where customers will be able to view miniature models and eat food from around the world. Another miniature theme park planned by Small World in Tokyo will have an area of 7,000 sq. meters. It hopes to attract 2 million visitors annually, said Ryubo, which plans to invest ¥50 million in the Small World project. The Tokyo-based firm also expects other companies to invest in the venture. In planning the new theme park in Tokyo, Small World will take inspiration from a model railway attraction in Hamburg, Germany, called Miniatur Wunderland, which opened in 2001, as well as a facility that opened in Lyon, France, in 2016 called Mini World that features miniature animated models. This section features topics and issues from Okinawa covered by The Okinawa Times, a major daily in the prefecture. The original article was published on March 31.